What everyone love about Jackie Chan’s movies are those last minutes at the end during the end credits of the film where we can watch the mistakes happening during the stunts sequences as if we were witnessing the shooting action. Good stunts require many takes and sometimes end up in accidents. Once edited in the final version, the many “wrong” sequences are put into the action and everything looks smooth and perfect. But we know this is a lie. Perfection is hard to get and will never be available on a one try movement a lot of time time, effort, and repetitive tries are necessary. Quality is an acquired result not a given one. 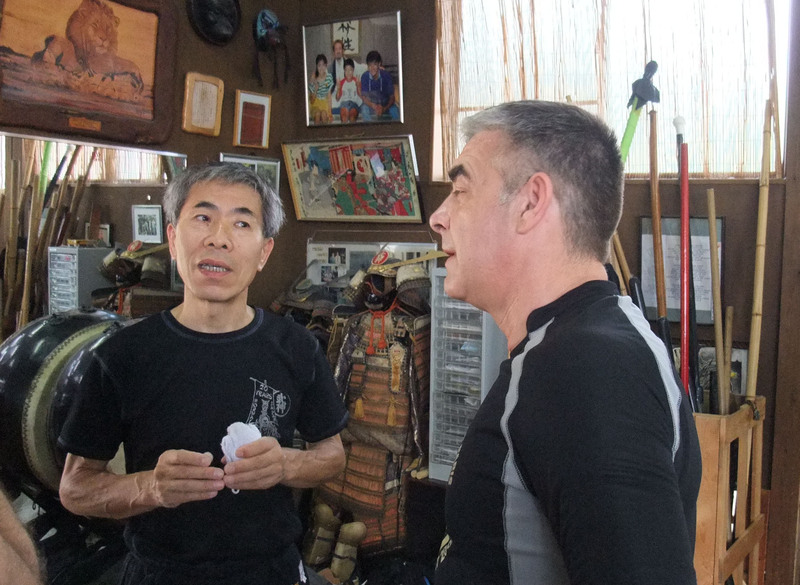 During Senô sensei’s class on Saturday he spoke of making mistakes during training. In the West through what Society teaches us we have been trained since kinder garden to do our best to avoid mistakes. In fact, making mistakes is so bad that we often prefer to do nothing than to take the risk of an error. It is often related to our self esteem and ego and to the fact that we always want to look good in front of others. This is not the best way to learn budô. 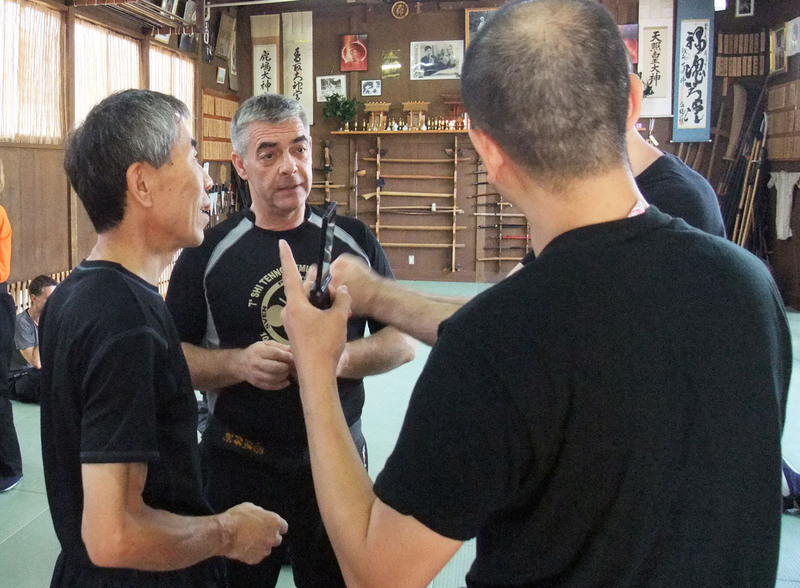 Thanks to Hatsumi sensei I learnt this error acceptance as it is part of sensei’s teaching. Many times in the past I would come to sensei telling him that I didn’t understand the movement he just did and many times he would stop the class and send me in the middle of the dôjô asking me to demonstrate it! How can you explain something you do not understand? You cannot! So you adapt your misunderstanding to the situation and do your best. The results at first were not good at all but through the many years with him they eventually improved and I grew up in confidence and expertise. It is good to accept to make mistakes because it makes you stronger. The judgement of others does not matter. You live and act for your own life. Senô sensei’s approach to this “error” understanding is nice and can be easily applied in our daily lives (as long as we are ready to accept the consequences of our actions). Basically Senô sensei explained that when we are discovering a new set of movements we are often wrong and make many “big” mistakes. But through repetition though, the “size” of the mistake melts down until the point where the error level can be tolerated not for winning but for us not to lose. (Side note: this is why the Japanese shihan often ask us to train more slowly). To make myself clear let’s say we do a movement for the first time with a 60% error level (EL). After a hundred repetition the EL percentage drops down to 30%. Add another 100 repetitions later we reach an EL of 10%, and a hundred repetitions later we get an acceptable rate of 5% EL. After a thousand tries the movement will still have to be improved but the error level will be so low that only you will be able to see it and that it will make no difference on the outcome of the confrontation. Our movements will never be perfect but through a consistent” trial and error” procedure we reach an error tolerance level (ETL) allowing us to make the movement correctly enough to survive in a real encounter. The beauty of this ETL training in the dôjô is that there is no risk at all (for us) even if the process takes many hours of training. The dôjô is the place to study the movements so that they become permanent engrams available when necessary. Now consider the dôjô to be a laboratory for experiences and real life the field where to apply these acquired engrams (if not physically at least psychologically). In the office, at the university or school, with your family and friends, your behavior will be naturally modified by the knowledge you acquired through hard work in the dôjô. 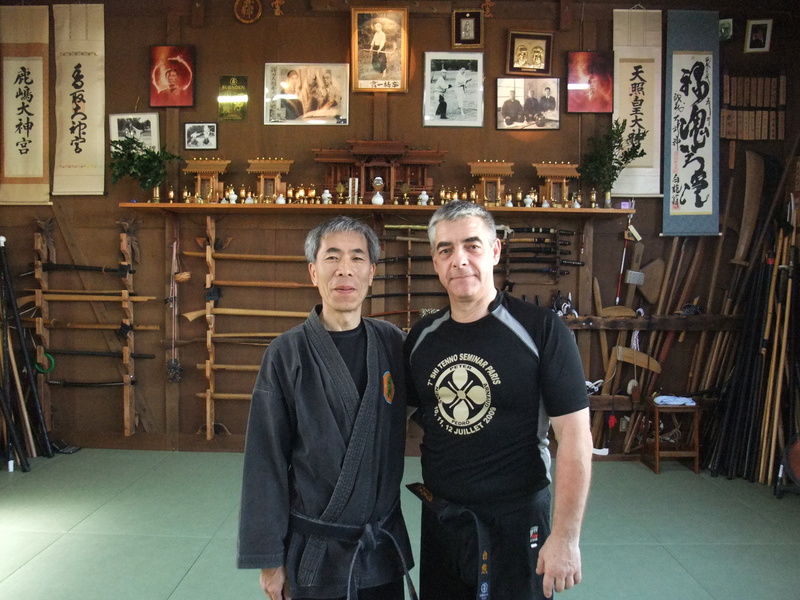 The ETL concept developed by Senô sensei is applicable to any activity in life. The acceptance of mistakes in our behavior frees us from stagnation and drives us faster towards the path of success. The more we accept to make mistakes, the less we make mistakes. 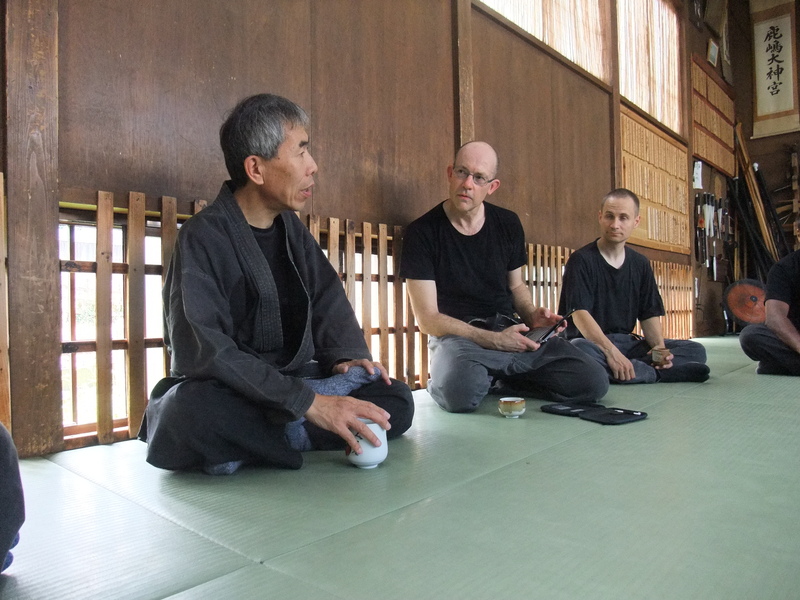 This is the best way to “create” and find the chance that sensei often speak about. Be happy to be wrong as you are going to be right! An inspiring read. Thanks for sharing, Arnaud! Thank you very much for taking the time and share this with us. Definitely not only interesting, but true and understandable in your words.